You’ve decided to have your wedding in a park. It is beautiful and picturesque. You also want to have music to process into the wedding space. However, you find there is no power at the venue to run the equipment you have. What are your options? Image this wedding on the 18th hole on a golf course. As a wedding ceremony venue, it is spectacular because it is set amongst the trees. I had this experience when the bride and groom had a friend DJ provide the music for the ceremony. As often is the case, these natural sites have no power close at hand to run all the equipment. Electric Generators: In the experience I had, the DJ brought a gas powered electric generator. It provided the necessary power to run the equipment. Unfortunately, it was noisy. He tried to run it 100 feet away from the site but I could still hear the motor running. I prepared myself to use my wireless headset and plug it in so that my voice would be amplified over the sound of the motor. It certainly cut into the peaceful feeling of the natural surroundings. Extension Cords: We were fortunate that the clubhouse was not too far away. With 200 feet of electrical extension cords we were able to supply the equipment with sufficient power. Sometimes on remote sites that is not possible. And with a cable run that distance there is always a chance it will pick up a buzz that cannot be removed which is caused when power travels a far distance and made even worse by a cheap extension cord. PowerPacks: AC power packs are probably the best option. 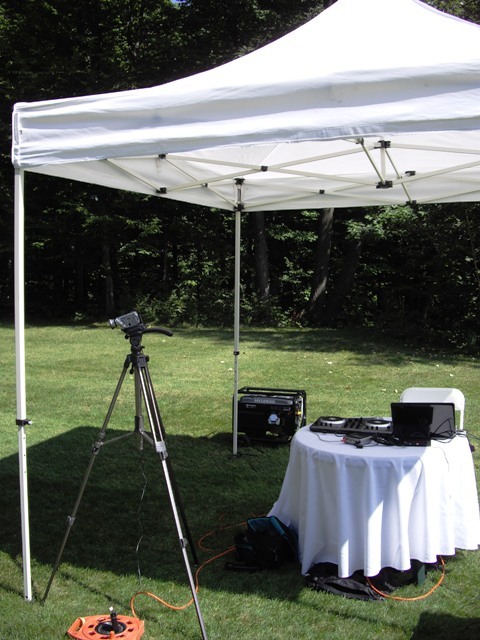 They can provide enough AC power for a short event, are light and fairly inexpensive to rent or buy. Best of all, they are silent. I’ve seen many musicians use them successfully. New Generation Power Generators: New power generators are available by top DJ services such as Quality Entertainment. They are silent and can run a longer period of time. It can handle the DJ equipment, PA requirements and LED lighting if needed. 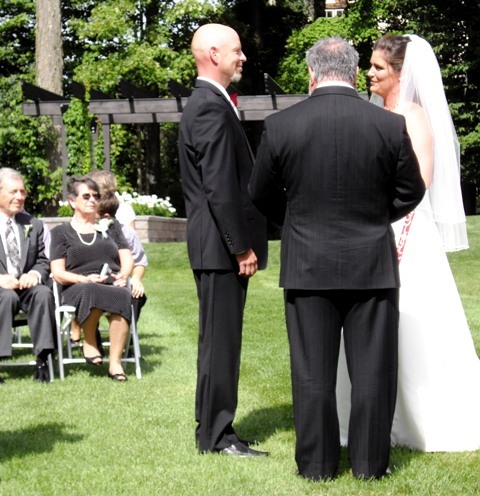 Proper PA and music are one of the most important aspects in a wedding event. When planning your on-location wedding, power considerations must be taken into account so your guests don’t experience a very long silent movie.